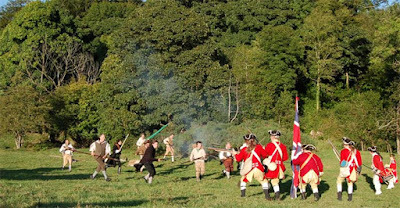 Fencible Regiments were raised in the late 1700’s and early 1800’s to provide defence of the United Kingdom. They could only serve outside the British Isles if all members of the Regiment agreed [some Regiments did serve abroad]. Unlike the militia the Fencible Regiments were full time members of the British Army and were fully recognised as such. Many Fencible Regiments served in Ireland, initially to protect against invasion by the “Old Enemy” France. These Regiments also served in the 1798 Uprising. The York Fencible Regiment was raised in the City of York on 30 Oct. 1794 by Col. Granville Anson Chetwynd Stapylton .The Regiment was formed at the request of the York City Council. Soon after it’s formation the regiment was posted to Belfast. Up until 1701 the Regiment was based in Belfast with a section stationed in Comber. The United Irishmen uprising started in May 1798 in Wexford and spread to Ulster in June. The initial stages of the struggle in Ulster commenced in Co. Antrim on 6th Jun. On Friday 8th Jun the McKee family were burned alive in their farmhouse outside Saintfield. The next day 270 York Fencibles led by Col Stapylton and accompanied by the Newtownards Yeoman Cavalary set off from Comber to march to Saintfield. They were ambushed by a large body on United Irishmen hidden in the Price estate on the Comber Road outside Saintfield [where the Secondary School now stands]. A very bloody battle ensued. The Belfast Newsletter of 10th Jun gave a very one-sided account of the battle. The paper claimed that 6000 to 7000 rebels attacked the York Fencibles and were soundly beaten. The Newsletter claimed that the York Fencibles lost 29 men killed, 3 missing and 22 wounded. The truth was quite different. The Regiment fought against a concealed foe who had organised well. Only with great difficulty could the Regiment gain enough space and time to withdraw to Comber. The York Fencibles lost 3 officers, five sergeants, 2 drummers and 45 other ranks. 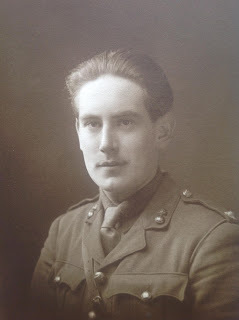 Among the dead was the nephew of Col Stapylton – Cap. William Chetwynd. The three officers are buried in Comber Parish Church. The United Irishmen buried the other Regimental dead close to the scene of the battle. When the Secondary School was being built York Regimental badges and other remnants were unearthed. The Battle was so fierce that one of the soldiers [a member of York] who later joined the Rifle Brigade and fought with Wellington from Salamanca to Waterloo described Saintfield as the worst battle he was ever involved in. In 1801 the Regiment returned home to the City of York. The soldiers were offered the chance to enlist in other Regiments and at least some were chosen for the then very new and experimental Rifle Brigade. This Brigade served with great distinction throughout the Napoleonic Wars and can truly claim to have changed the way battles were fought. The exact date when the York Fencibles were disbanded is not recorded but was probably in 1801 and certainly before the Treaty of Amiens in 1802.